You don’t have to look very far to find great cuisine in Charleston! We have highlighted just a few of the amazing places you can go to have a casual meal, a quick bite, a fancy feast or make your own! Farm-to-table comfort food with a modern edge. Specialties are vegetarian & omnivorous dishes made from ingredients naturally sourced within WV and the Appalachians served in a dining room restored to its circa 1920’s beauty. Located in the heart of downtown, Black Sheep offers an eclectic mix of tex-mex menu items and Charleston Brewing Company beer. One of the best brunch menus in the Kanawha Valley. Breads, cookies, pastries and more baked fresh every day. Ellen’s Homemade Ice Cream was born over 15 years ago with the simple mission to delight customers with all-natural, high-quality ingredients and a welcoming and comfortable atmosphere. The Block offers cocktails and small bites complimented by views of downtown Capitol St. The restaurant features an active cheese cave and glass enclosed wine cellar. Jazz music on selected nights. The purpose and mission of the market is to educate about local food resources and to revitalize the community by creating a vibrant market at which local farmers and home gardeners may sell their produce. Built from an 1800’s railroad transfer dock, the market serves as an indoor/outdoor farmer’s market, home of a variety of specialty shops and Soho’s restaurant. The Charleston CVB also has a satellite site at the market. Descendants of the original salt makers in the Kanawha Valley produce clean, artisinal salt, harvested by hand. Tours are available with reservations. Mountain State Food Tours in Charleston, WV, offers a guided tour of five locally owned and unique downtown restaurants. Includes food and brief history of the area. The Taste of Charleston Food Tour is currently being offered on Tuesday and Saturday evenings @ 6 PM . Chili cooks compete to see who has the best red, green and home-style chili and salsa. Kids activities, frozen t-shirt and hot pepper eating contests, live music, local food vendors and plenty of cold drinks. Proceeds benefit HospiceCare. 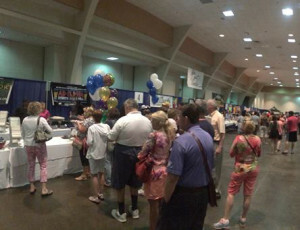 Mac and Cheese enthusiasts enter and taste the Charleston area’s best Macaroni and Cheese. Proceeds benefit the Childhood Language Center of Charleston, WV. Spring, summer and fall are perfect for outdoor dining but all year-round is great for those special Charleston places that love to serve you!